"Detailed and personal which led to an engaging session." "Very flexible course which changed to suit individual needs." "Great tuition. I did not feel that my questions were stupid, I felt confident that I could ask anything....and i did!" A modern city set in the countryside. The expansion of Milton Keynes, within a relatively short space of time, has been tremendous. 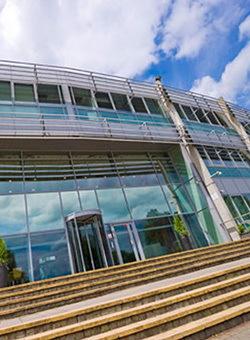 More and more business are moving to Milton Keynes and we have had the privilege of being involved in training them. BP, Network Rail and Marshal Amps are 3 of the many clients that have taken advantage of our flexible training courses. We can come to you to deliver your Beginners Microsoft Word 2013 Training Course. We can provide all the equipment needed including software ready laptops and a projector if you need it. Located in a new business park in parkland setting Atterbury Lakes is situated just off Junction 14 on the M1, and is an ideal central UK location with excellent access to the rest of the UK motorway network. The West Coast main line from London Euston runs through Milton Keynes; approximately 100 trains a day run between Milton Keynes and Euston (40 minutes) and there is a direct service to Gatwick Airport. The centre is highly visible from Childs Way, which is the primary route into Milton Keynes. Just right for your Beginners Microsoft Word 2013 Training Course. 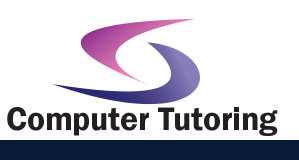 We also conduct many other computer training courses in Milton Keynes. So please see if we have what you need. Today knowledge of Microsoft Word is essential for any business or employee. Now with Office 2013 and 365 you can use Microsoft Word 2013 on a variety of devices including Tablets, Mobile Phones and of course standard PC's.